Tuesday, Apr. 23, 2019, 4:30 – 5:30 p.m.
Come play a game of chess! 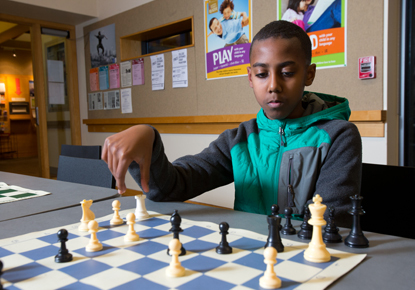 Children and teens are invited to drop by for fun and casual games of chess. All skill levels are welcome. Chess sets and guidance by an adult chess coach will be available.